At my house, Passover is all about freedom. And desserts. This year (actually, just today), I had planned to bring you a number of perfect Passover desserts. I took yesterday off work, intent on baking. But it was not to be. 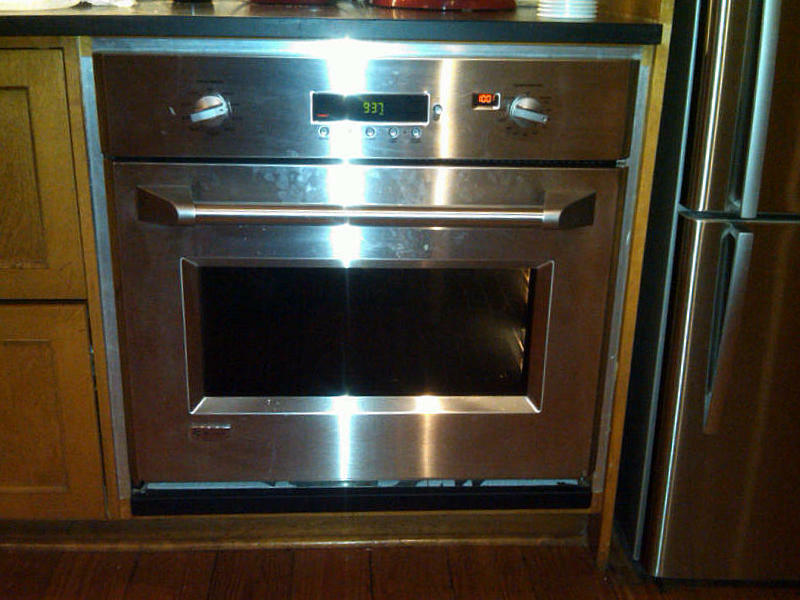 By 10 a.m., my expensive electric wall oven was failing. By 11 a.m., I administered last rites. 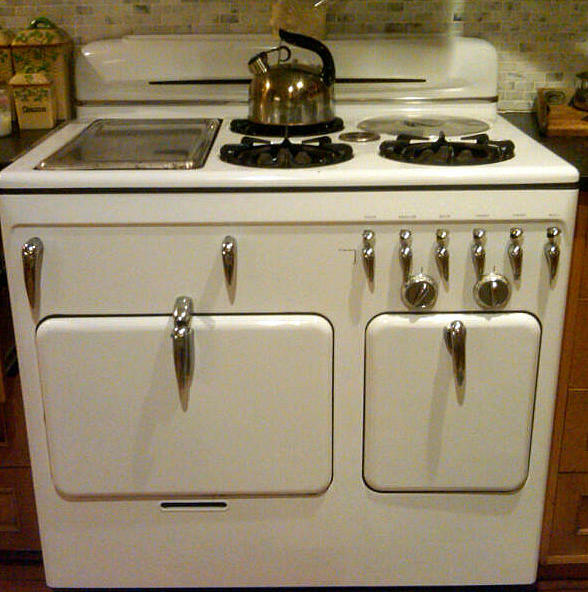 I do have a fantastic c. 1950 Chambers stove (which has never died), but its gas oven is a bit unreliable for baking so I didn't make the fancy meringues and tortes on my list. Instead, I found a recipe for Woodchucks, a rather unappetizing name for what turned out to be a delicious and unusual cookie. It was in a spiral bound cookbook published by the Akron chapter of B'nai B'rith Women in 1970. 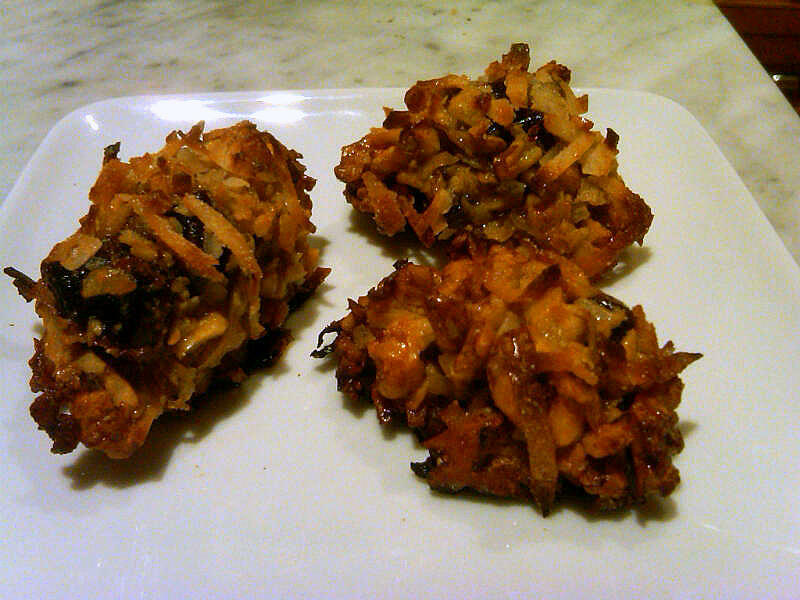 They are a bit like coconut macaroons, but even better because of the addition of nuts, dates and brown sugar. Because Passover is a long holiday, you have plenty of time to make these. 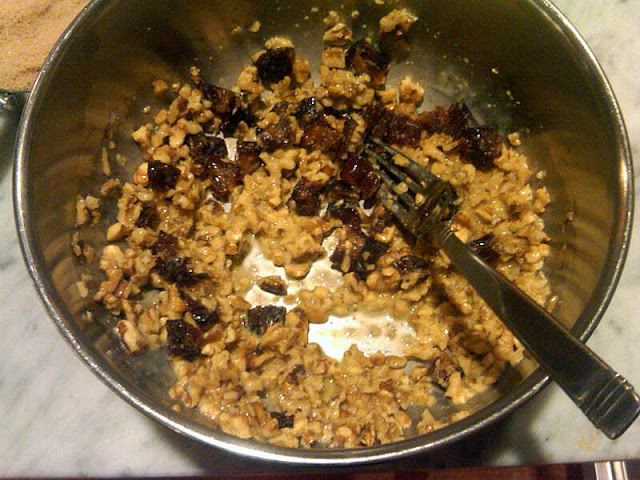 But let's get baking: Mix chopped walnuts, dates, coconut, brown sugar and an egg in a bowl. Form the mixture into oblong rolls. This is a messy process, best accomplished by wearing latex gloves. 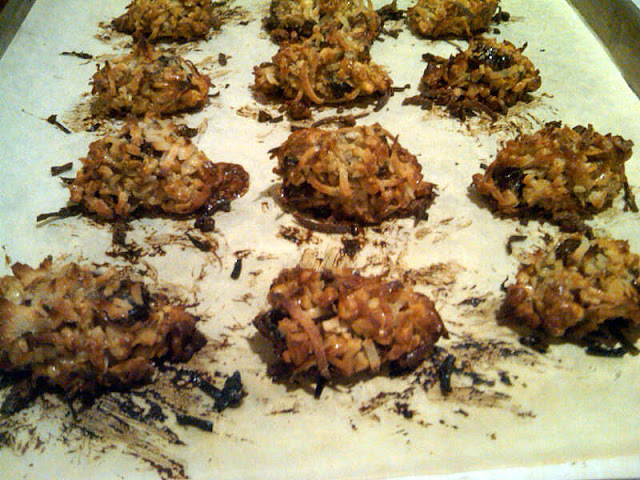 Roll them in some coconut and place on a cookie sheet. My Chambers kind of burned the bottoms a bit, or perhaps I left them in too long. But the DH said he liked the burnt flavor and if you just remove (and eat) the most egregiously burned portions no one will be the wiser. These aren't the most gorgeous cookies -- I'm sure the meringues would have looked a lot better -- but they are wildly addicting. I only made half the recipe, the latest among my many regrets. Make the full recipe; you'll be happy you did. And happy Passover. Below is the old reliable Chambers, and below that is the fourth wall oven I've had in 15 years. Proof that they just don't make them like they used to. You have a Versatile Blogger Award! Thanks, Paula! I'll check it out. Every recipe vintage recipes has dates in it! People in the past loved dates. That's true, Sarah, and it's a good thing. 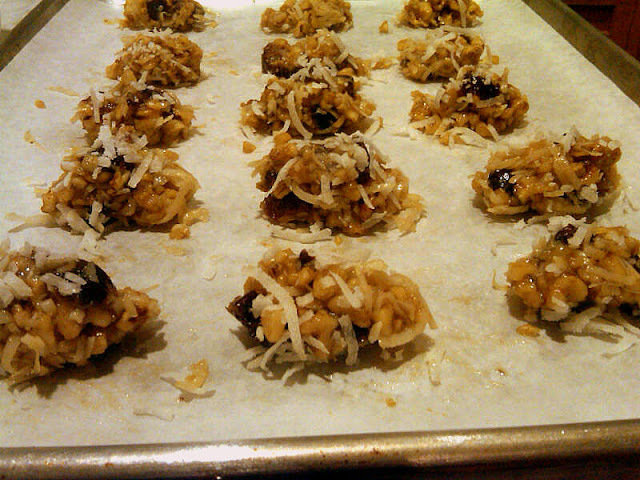 The old recipes feature either dates or raisins -- and it's no contest, dates win hands down. OK, 5 years later, but... My mother used to make something like these, and I could not find her recipe in the mountain of hand-written recipes she left behind. I was thrilled to come across your wonderful blog and this "cookie". They're delicious, and just about exactly like my mother's. Thank you so much for your efforts in recipe historical preservation!